Simon Clayton Realtor Vancouver Macdonald Realty. 2019 is my 16th year as a Realtor, licensed to sell Vancouver Real Estate, being involved in hundreds of MLS transactions on the listing and selling ends of west and east side Vancouver properties. Since being licensed in 2003 I have represented clients in the sale of greater than $350,000,000 in Vancouver Real Estate. Born and raised on the West side of Vancouver in the Southlands neighbourhood, I am now a proud resident of the East Vancouver neighbourhood Main / Fraser Street, where I live with my Wife and Daughter. My business has continued to grow throughout Vancouver. I have branched out from my focus on the West side of Vancouver and become very successful in listing and selling homes on the East side of Vancouver, Downtown Vancouver, Yaletown, West End, and Gastown. I also work with listing and selling property in Richmond, Burnaby, Coquitlam, and North Vancouver and beyond. I have been awarded by my company, Macdonald Realty, for being among the highest sales agents with our company’s “Sales Achievement” award and the “Award of Excellence” for 10 consecutive years. I am among the “Top 10 Agents” in the Kerrisdale Macdonald Realty office out of approximately 190 realtors and was the #1 agent in Vancouver in 2014 (non-team). I have also been awarded the Medallion Club award from the Real Estate Board of Vancouver (REBGV) for being among the top 10% of all Realtors in the City of Vancouver. for marketing my listings with real estate photos and video, you can see some samples on my video marketing page. Please also visit my foreclosure homes listing page in the left side menu. I am one of few real estate agents who specialize in foreclosed homes and luxury real estate in Vancouver, Canada. For 75 years, Macdonald Realty has been helping make our client’s lives easier. What started in 1944 as a boutique real estate office in Vancouver’s Kerrisdale neighbourhood has grown into a fully integrated real estate company, With over 900 staff and agents in offices across BC, our local experts are your go-to source for your real estate needs. Macdonald Realty is unique in offering a fully integrated range of real estate services, including residential and commercial brokerage and leasing, property and strata management, development and project marketing and mortgage brokering and lending. I have dealt with real estate agents in my professional capacity for some 30 years. I have also bought and sold a number of properties personally. Simon is the most professional and knowledgeable agent I have dealt with. I have no reservation in recommending him. When my parents decided to make a change, we knew that they would need a really great realtor to walk us all through the daunting process of selling the house they had been living in for 60 years. We were lucky enough to connect with Simon, who took the time to explain the “why’s” and the “when’s”, and to create a solid strategy that we could all understand and support. The tremendous sale price was largely the result of Simon’s work and planning, and it exceeded all of our expectations. 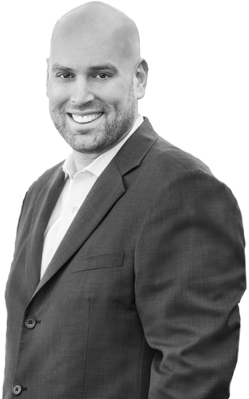 We would not hesitate to recommend Simon to anyone as a responsible, approachable and personable realtor.